Honor your mother and empower another! CARE is a global humanitarian organization with a special focus on working alongside poor women because, equipped with the proper resources, women have the power to help whole families and entire communities escape poverty. Women are at the heart of CARE's community-based efforts to keep mothers and babies healthy, send girls to school, protect the most vulnerable when disaster strikes and more. 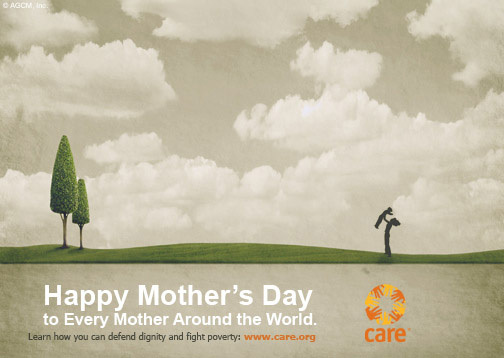 Send this CARE Mother's Day card to an important woman in your life and you won't just be making her day special - you'll be raising awareness for mother's all over the world.